In 1977, we meet Benji (Oakes Fegley) who is awoken by a nightmarish vision of wolves, the grief of losing his mother (Michelle Williams) still weighing heavily on his mind. Soon after, he gets struck by lightning and loses his hearing. Meanwhile, a young girl named Rose (an entrancing Millicent Simmonds) sits alone in her room crafting gorgeous miniature skyscrapers out of the pages she rips from a book entitled 'Teaching the Deaf to Lip-Read and Speak'. The year is 1927, it's the dawn of the talkies and Rose is feeling out of place in her changing New Jersey surroundings. The two deaf children both run away to the Big Apple in search of a connection, deciphering clues along the way and their intersecting adventures set in two separate decades play out with a gentle and whimsical charm. Adapted by Brian Selznick from his illustrated children's novel, with Carol's Todd Haynes directing, this is a delicately crafted film that continually references the process of turning the written word into elegant visuals and vice versa. Yet it is this ambitious detail that detracts from the telling of the tender coming-of-age stories, with huge portions unfolding via people scribbling on pads or reading aloud to keep the audience up to speed. Rose's narrative takes the form of a silent film with Julianne Moore as a screen siren and Carter Burwell's score providing playful accompaniment. Haynes' 1970s New York echoes Martin Scorsese's crumbling inner-city grit as seen in Taxi Driver, though the overall tone is much sweeter, like Hugo. 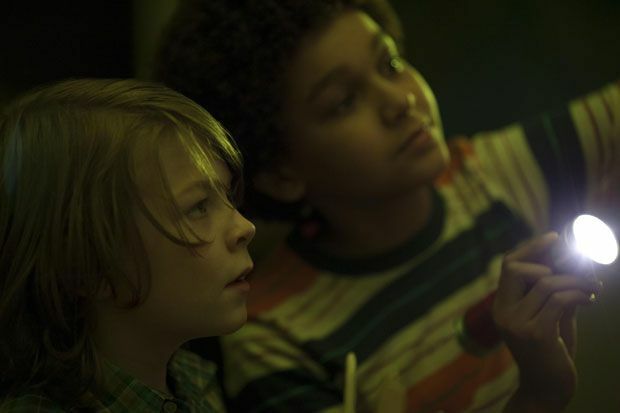 Wonderstruck shines brightest when its characters interact with the setting or the incredible panoramic model of the city. As the children roam the halls of the American Museum of Natural History their curiosity is realised with a spirited vigour. Haynes' camera whooshes between the different time periods and cinematic stylings, with his film painting the progression of the city over 50 years. It's part heartfelt love letter to New York's history and part ode to the ever-changing visage and vibrations of cinema. Screening as part of the Cannes Film Festival 2017. General release TBC.